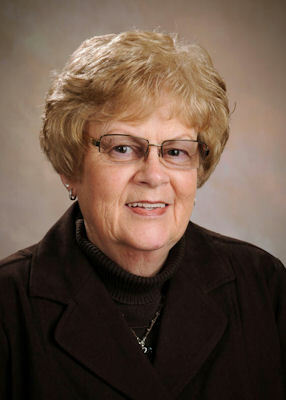 After 27 years of dedicated service, Leila Link retired from First State Bank of Illinois on Dec 30, 2009. Ms. Link joined the bank, as a bookkeeper/teller, on January 7, 1983. During her tenure at First State, she has served the bank in many capacities; Bookkeeper, Teller, Secretary, Administrative Assistant, Executive Secretary, Vice President and First Vice President. Currently, as First Vice President of Retail Banking, Leila is responsible for Retail Banking, Human Resources and Marketing. ansfer Agent for First State Bancorporation, Inc. and is Secretary to the First State Bank of Illinois's Board of Directors. Leila is married to John Link, a local contractor, and they reside in La Harpe. John and Leila have two daughters, Joani Wilson and Lisa Howd, both of whom also live in La Harpe. Joani has two children, Travis and Karisa. Lisa and her husband Jeff also have two children, Jo Ann and Jacob. They feel fortunate to have their children and grandchildren close and enjoy attending the many athletic and other events in which they are involved. John and Leila are also members of the Union Church in La Harpe. Ron Peterson, President of First State stated that, "The bank is extremely fortunate to have had a person of Leila's ability and integrity to help guide and grow the bank over the past three decades." First State Bank of Illinois has offices in Blandinsville, Carthage, Colusa, Hamilton, La Harpe, Macomb, Monmouth, Peoria and Wheaton.